A Bay Area nightclub owner who increased service fees on tickets in order to pay for a large bonus for himself has been defeated in a pair of costly breach-of-contract lawsuits. For music fans, including thousands who purchased online tickets to the nightclubs involved, the lawsuits illustrate little-known details of the online ticketing industry—including signing bonuses and advances for small club owners, and how they can increase the dreaded “convenience” fee paid by ordinary ticket buyers. 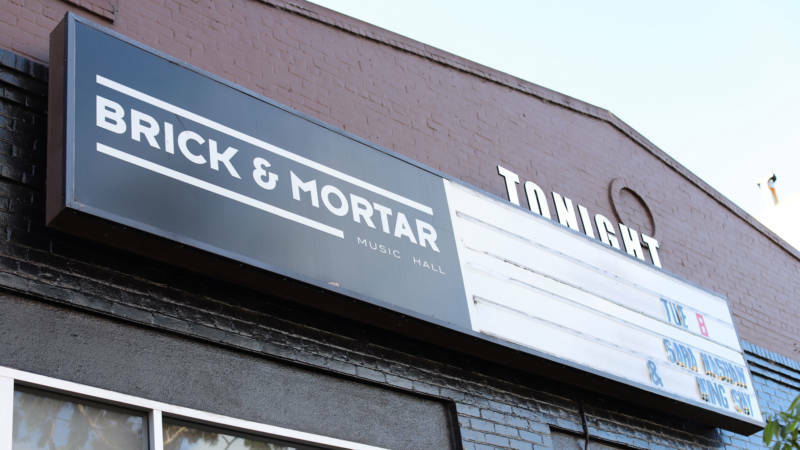 The lawsuits go back to 2014, when the New Parish in Oakland and the Brick & Mortar Music Hall in San Francisco's Mission District began using a different company to sell advance online tickets for shows. 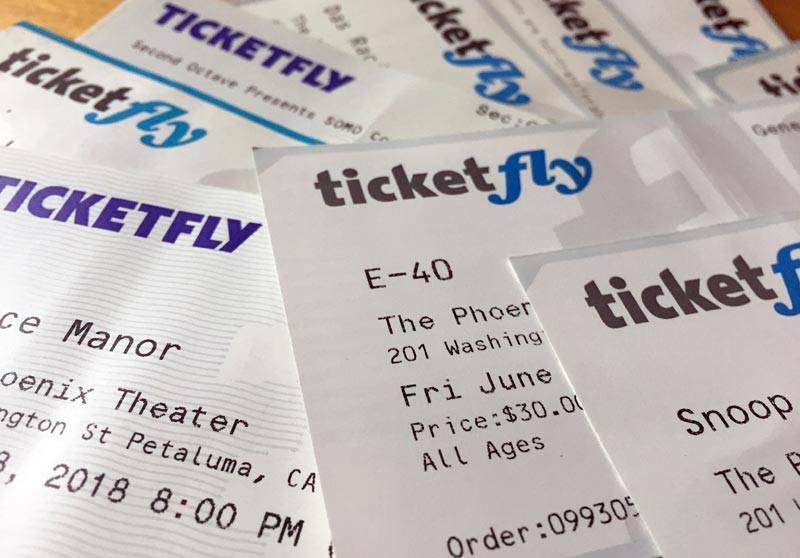 Fans had previously bought tickets through San Francisco-based online ticket provider Ticketfly, but the clubs' co-owner Jason Perkins dropped the company after a competing ticket provider, Crowdtorch, offered a signing bonus and advance totaling $500,000. With the change in providers and the large signing bonus for himself, Perkins effectively increased the service fees paid by ticket buyers by as much as 50 percent. Crowdtorch won judgment in 2017 for $323,000. And last month, after the court admonished Perkins for withholding evidence, a ruling favoring Ticketfly opened the door to another six-figure judgment. Should a judge award full damages claimed, Perkins and O'Connor will be on the hook for over $738,000. The lawsuits stem from a 2014 agreement between Perkins and Ticketfly, now owned by Eventbrite, to provide ticketing services for Parish Entertainment Group venues, including the Brick & Mortar and New Parish through 2019. The five-year contract included a perk more commonly associated with professional sports: a $110,000 signing bonus. Ticketing companies are widely reviled for their high “convenience” fees tacked on to the face value of a ticket. But the contract also outlined one of the industry's secrets: the practice of venue owners receiving a cut of each ticket's service fees. In the agreement, Ticketfly established a split: for a $10 ticket, for example, the service charge would be $2, of which the venue owners would receive $.25. Perkins signed the five-year Ticketfly agreement on April 7, 2014. But nine days later, on April 16, according to court filings, Perkins told a Crowdtorch representative that he was “entertaining offers,” and began bargaining with the company weeks after contracting with Ticketfly. “Throughout the sales process, Mr. Perkins made reference to other vendors he was considering for ticketing services, and even rejected our first offer as not competitive ‘with the vendors we have whittled down to consider,’” the Crowdtorch employee wrote in a sworn declaration. In September 2014, Perkins signed a four-year agreement with Crowdtorch, court filings show, with highly favorable terms: a $150,000 signing bonus, plus a $350,000 advance on ticket sales. Ticketfly sued Perkins and O’Connor three months later. Last month, the San Francisco judge granted Ticketfly legal fees and “terminating sanctions,” effectively ending the case in the company’s favor. The dollar amount of damages to be paid by Perkins and O'Connor will be determined at a future date, but Ticketfly claims it’s owed more than $400,000. Combined with the Crowdtorch judgment, that would bring the total in damages to be paid by Perkins and O'Connor to more than $723,000. Reached by email, Perkins did not provide comment on the ruling. The attorney representing Perkins and O’Connor did not respond to multiple requests for comment. During the four-year lawsuit, Ticketfly’s attorney Nitoj Singh accused Perkins of strategically “keep[ing] this case barely alive” by “avoiding default time and time again...in an apparent effort to delay a resolution,” a charge with which the judge agreed. "We’re pleased that this has finally come to resolution with the court dismissing the case in our favor, awarding Ticketfly terminating and monetary sanctions,” the company said in a statement. Evidently, Ticketfly's lawsuit did not deter Perkins from signing with yet another ticketing company while under contract to Crowdtorch. Crowdtorch, now a part of San Francisco company Vendini, filed its suit in 2016 alleging the same type of contract breach, saying Perkins collected the bonus it paid to him before signing with a third ticketing company. “Defendants’ conduct was malicious and intentional, and consistent with a pattern and practice,” Crowdtorch’s attorneys wrote. The 2017 judgement in favor of Crowdtorch, for $323,000, was later sustained in appellate court. It is unclear in the lawsuit which ticketing company Perkins signed with while under contract to Crowdtorch, or if he received yet another large signing bonus when he did. Brick & Mortar’s current online ticketing provider is Ticketmaster subsidiary Ticketweb. Perkins, whose ventures have also included Leo’s Music Club in Oakland and the Crafty Fox alehouse in San Francisco, has a well-documented history of conflict with city officials in various departments. In addition to media coverage in several Bay Area outlets, he published the defunct tabloid SF Sounds, using unsigned editorials to criticize the San Francisco Entertainment Commission and, in one article, appearing to fabricate quotes disparaging Brothers Comatose, a local bluegrass group. 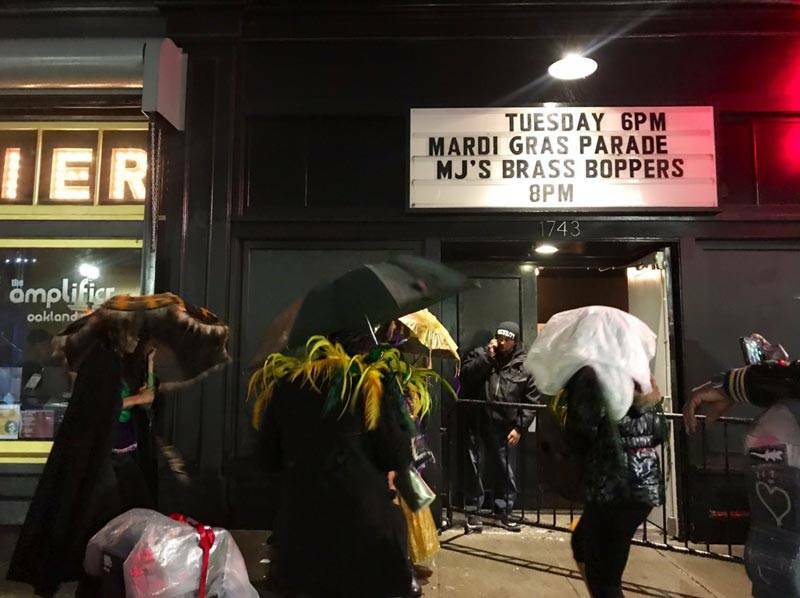 The hashtag spread last year after leaked security footage showed an altercation between Perkins and a homeless man outside his Mission District venue. A former employee, David Palmer, then provided screenshots of text exchanges that he said showed Perkins taking credit for leaving threatening notes, specific language of which echoed Perkins’ social media posts, on nearby tents. Following public outcry, O’Connor dissolved the Parish Entertainment Group, the moniker for his partnership with Perkins, although he and Perkins remained co-owners of Brick & Mortar, he said. It was then reported that Allen Scott of Another Planet Entertainment had bought out Perkins’ stake in the New Parish. In a declaration in the Ticketfly case, Perkins wrote that he now lives with his family in Israel.